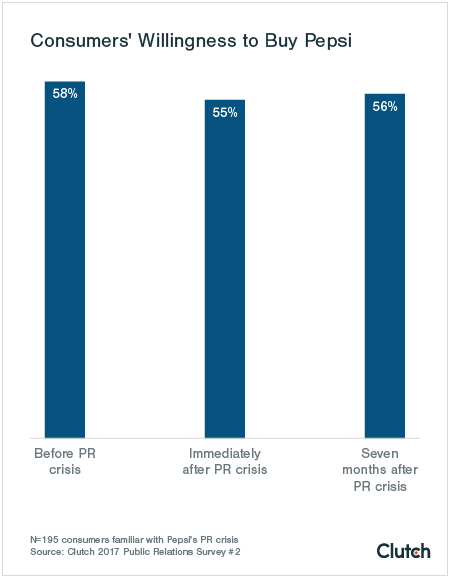 Seven months after United Airlines, Pepsi, and Uber all experienced a significant public relations crisis, research finds that consumers’ likelihood to invest money in the companies is directly related to how they responded to their crisis. To gather the data, Clutch surveyed 500 consumers in the U.S. to measure their willingness to purchase products or services from United Airlines, Pepsi, and Uber before, immediately after, and seven months after each brand experienced a crisis. 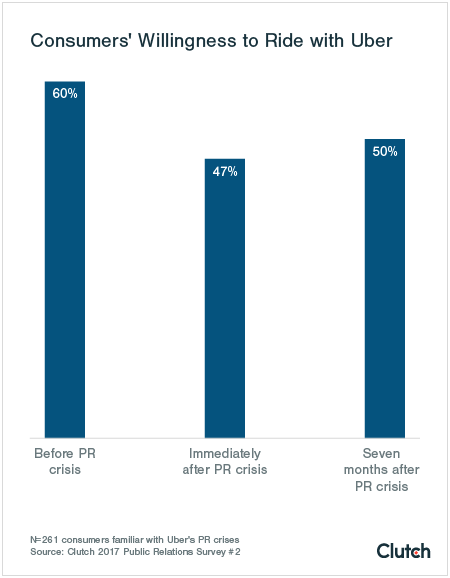 In each case, consumer willingness to invest money in these three companies declined immediately after the crisis, but the brands were able to recover depending on how quickly and appropriately they implemented a PR strategy in response to the negative fallout. 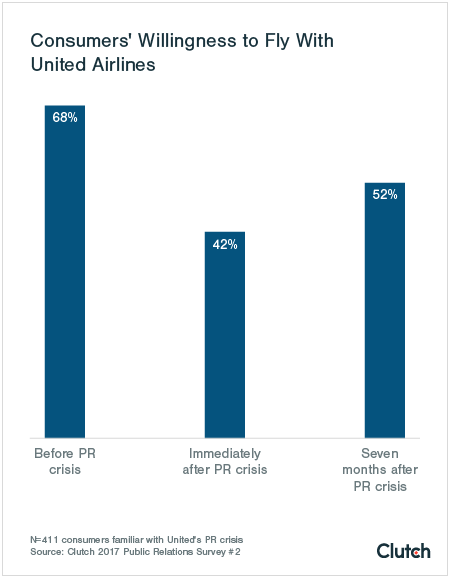 For United Airlines, consumer perception of the airline declined significantly after witnessing the violent removal of a passenger from a United Airlines flight. Consumer willingness to fly with United Airlines dropped from 68 percent to 42 percent. 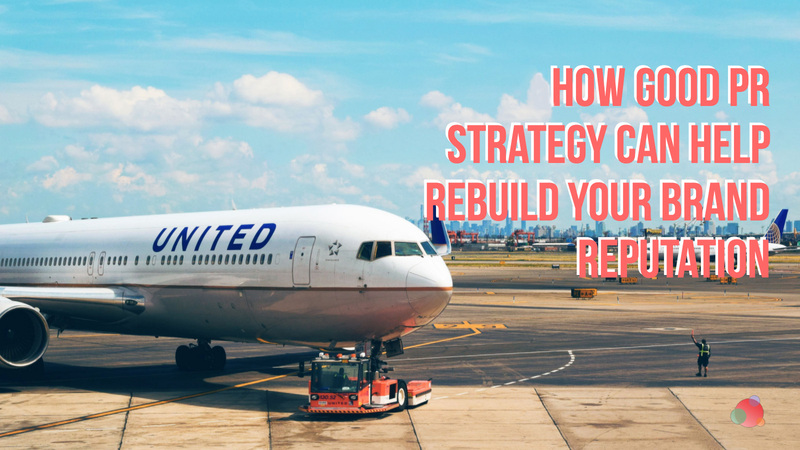 Seven months later, United was recouping some of the damage done. With 52 percent of consumers saying they will fly the airline again, they had “moved on” from the crisis. Still, the company did not fully regain their consumer following because of their inability to quickly apologize for the event and for their lack of sincerity in claiming responsibility for the wrong-doing. Deborah Weinstein, president of Strategic Objectives, says it’s unsurprising consumers were not willing to fly with United Airlines because they thought what happened posed a direct threat to consumer health and safety. With United Airlines, their crisis was a matter of public safety, which made the situation a lot more serious. Clearly, their brand reputation and sales suffered as a result. Thirty percent of consumers still say they feel unsafe flying with United Airlines. And, they will not purchase United flights regardless of price, availability, and convenience. In contrast, the Pepsi mishap involving an insensitive commercial with Kendall Jenner sparked disapproval amongst consumers. Yet, their PR strategy to quickly apologize and remove the advertisement was well-accepted, preventing damage to the Pepsi brand. According to Clutch, consumer willingness to buy Pepsi products saw a slight decrease from 56 percent to 55 percent immediately after the commercial aired. Pepsi regained the one percent loss of its consumer base in seven months. This is because Pepsi products are inexpensive and do not dramatically affect people’s day-to-day lives. Pepsi is a lifestyle brand. Because of this, consumers are rarely in situations where Pepsi’s products are so dramatically shaping or influencing their lives that any crisis will have a significant impact on their lifestyle and identity. Because Pepsi acted on their marketing mistake right away, the crisis has not had a significant impact on long-term brand reputation. Uber is experiencing a decline in its consumer following. After seeing negative news, consumer willingness to use the ride-share service immediately dropped from 60 percent to 47 percent. Multiple allegations of fraud, misbehavior, and sexual assault have made consumers wary. Many of whom now feel unsafe spending money with the brand, Clutch reports. Uber failed to implement an effective and immediate PR strategy in response to negative press. Because of this, they face the threat of damaging their brand reputation permanently. People who may have been considering using Uber are now choosing to delete the app entirely and use other ride-share services. 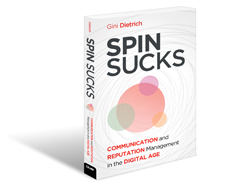 A company’s reputation can easily be threatened by the rapid spread of news on social media and 24/7 news channels. These trends result in severe and immediate damage to a company’s brand reputation if they are featured negatively in the press. Jeremy Pepper, PR and communications consultant at Communimatic, says the internet plays a significant role in how consumers respond to crises. Now, more than ever before, the internet has accelerated the time that people get over crises. It is a flash reaction. People are upset by one crisis and then quickly move on to the next. News spreads rapidly, allowing crises to solicit an immediate reaction. Clutch also finds that consumers tend to say one thing, but do another. For United Airlines, Pepsi, and Uber, the crises each related to a social cause, creating a social bias. Those who witnessed the events will say they reacted negatively because the social bias influences them to do so. 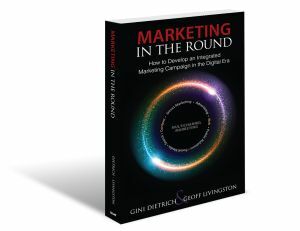 However, consumers may still purchase products or services regardless of their intent to no longer invest in the brand. The way United Airlines was positioned in the media following their crisis created a negative social bias against the brand. Because of this, people will react negatively when asked about United because they think they need to. But, they may go buy a ticket from United 15 minutes later. 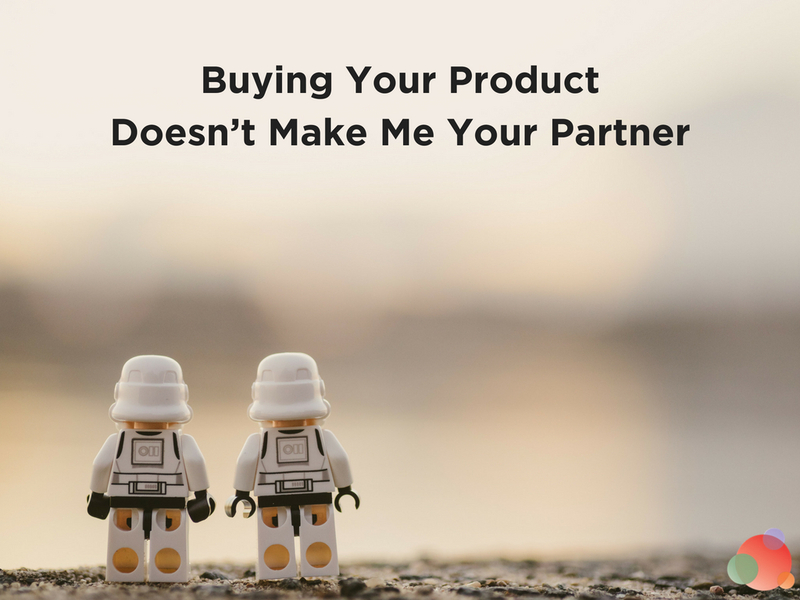 It is important for companies to pay attention to all consumers, regardless whether their intentions are opposite their actions. Even if consumers are not purchasing your products or services now, they may change their purchasing behavior later. Even people who have never used Uber may still have been considering giving it a try. But if all they’re hearing and seeing about Uber is negative, their potential for acceptance will decline. Following consumer behavior in the market helps companies maintain their existing consumer base and expand to a new audience. Overall, the Clutch report emphasizes that maintaining brand value is the most important component of a successful company. 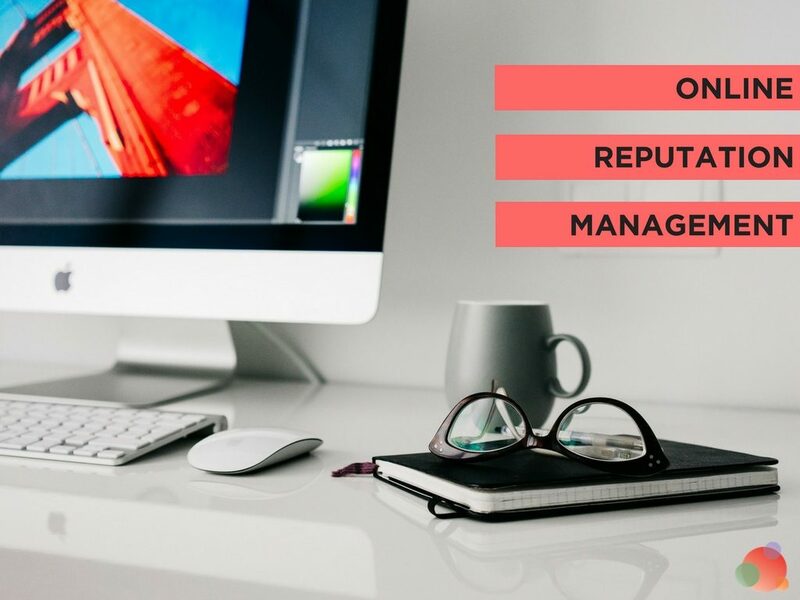 It is vital for companies of any industry to have a public relations team on board. 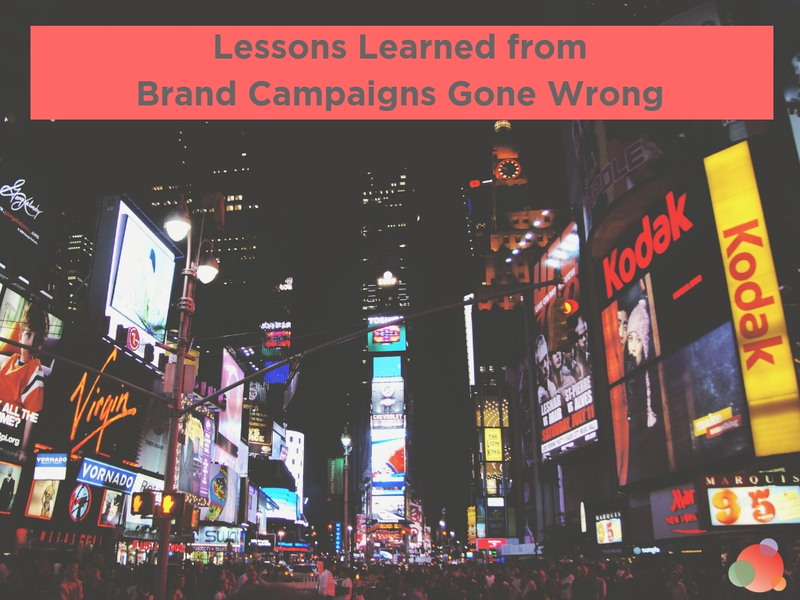 They can quickly and strategically respond to negative events which may threaten brand reputation. The crises of United Airlines, Pepsi, and Uber teach a valuable lesson about the art of the apology. Despite negative reactions consumers had to these events, people are willing to forgive. But, companies must implement an effective PR strategy to publicly apologize immediately and stay true to their core values. Jenna Seter is a Business Analyst & Content Marketer at Clutch.co, a B2B research firm in Washington, DC.